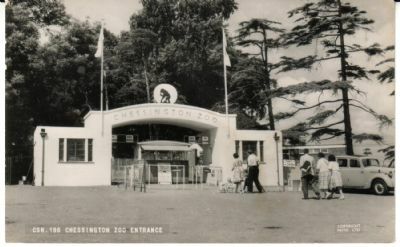 I first went to Chessington Zoo in the early 1950's. Those were the days before words like Conservation and Preservation came into being. 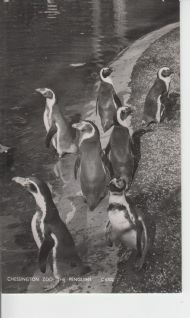 Then, when you went to a Zoo or Zoological Gardens to give them their correct name, you went to be entertained, not only by the animals and their antics but also by the other attractions most Zoos had in those days. 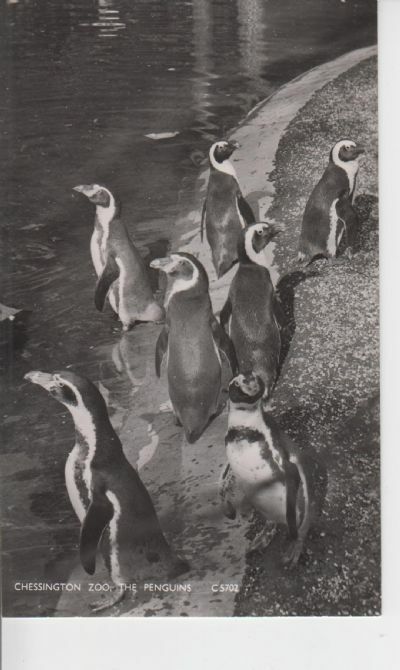 Chessington was no different. Before you even went in, you could view an old London tram which was parked in the Car Park and once inside, apart from the animals there was the Funfair, a steam train which went round the grounds and the Circus. I can supply any copy of the postcards shown here, size 6 x 4 ", for the amount shown under each card. I only accept PayPal. Postage within the UK is 80p for any number of postcards. Click on a card to enlarge it. THIS WEBSITE IS DEDICATED TO THE MEMORY OF CLINTON H KEELING. 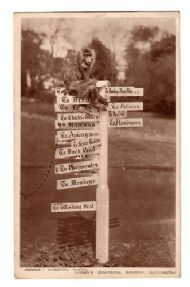 ZOO OWNER, PROFESSIONAL ZOOLOGIST, AUTHOR, BROADCASTER, FELLOW OF THE ZSL AND A DEAR FRIEND AND MENTOR. This Entrance was in use for many years. 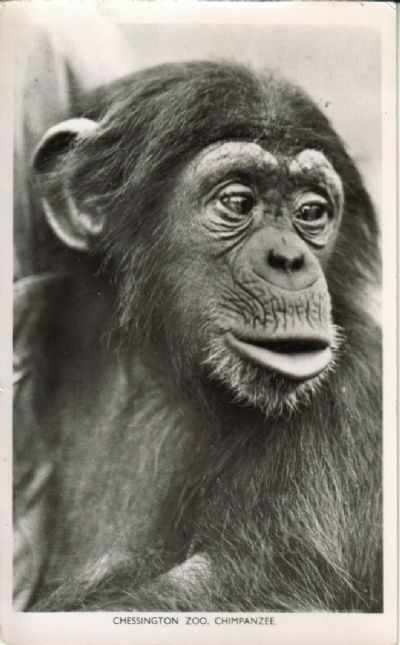 I was lucky because I managed to purchase the Chimpanzee which is cut out of a piece of steel A coat of paint and it looks great on a wall in the garden. The oldest card in my collection 1931. 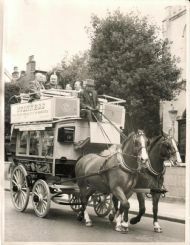 This is an original photograph of the Carriage which ran for many years. It was finally "put out to grass" in 1949 when it failed its examination. Toots and her cousin Wendy were often used in Gilberts Circus. ZOOLOGICAL HISTORIAN, BROADCASTER, AUTHOR, ZOO PROPRIETOR, PROFESSIONAL ZOOLOGIST, FELLOW OF THE ZSL AND A DEAR FRIEND AND MY MENTOR OVER THREE DECADES. MAY HIS MEMORY LIVE ON. R.I.P MY OLD FRIEND.